Date Added: Tuesday 27 February, 2018 by john f.
I received my jacket today and was blown away by the quality, the cut, the stitching and the smell, I carefully slipped it on and it fitted like a dream, I had high hopes and my expectations have been exceeded out of all proportion, if you are thinking of buying don't hesitate buy, the quality is assured.. Date Added: Tuesday 14 March, 2017 by Christopher S.
Date Added: Wednesday 29 June, 2016 by Mark C.
I have one of his cowhide jackets in Model A, and it's the best fitting jacket I own in my stable of leather jackets. Amazing quality. As has been stated by others, I HATE when warm weather arrives, as my jacket has to go into hibernation until next jacket season....but rest assured, it will be pulled out and enjoyed season after season. HIGHLY recommended!.. Date Added: Tuesday 26 May, 2015 by Chris V.
I have version A of the adventure jacket. Of my 4 Raiders jackets, my Magnoli is THE most accurate by far. Astonishingly comfortable. I dread summer because I can't wear my jackets anymore. Any slight dip in temperature, this jacket comes out. No need to think about it, just order one!.. 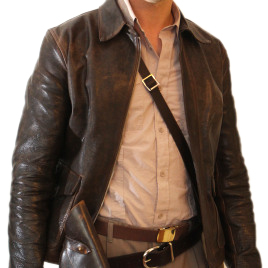 Date Added: Friday 06 March, 2015 by Dallenne v.
I just got my Cowhide Adventure Jacket and i have to say : Wow ! Ordered only 3 weeks ago, delivered via Ups in only 2 days. That was fast! Fast but it's top quality, everything on that jacket smells high quality, and you can even smell the love of Indy Magnoli for that design. I've owned every indy jacket on the market. This one is the best. Indy is also a professional when it comes to communication. He answer every of my emails in less than 12 hours, and i'm in France, so we have a 12 hours difference with NZ. The jacket fits me perfectly, and will be by my side for many years. Thanks Magnoli, i hope it was the first jacket of a long list from your shop!.. Date Added: Tuesday 31 May, 2011 by Eugene C.